In this article you will participate in the O.62 Dini. 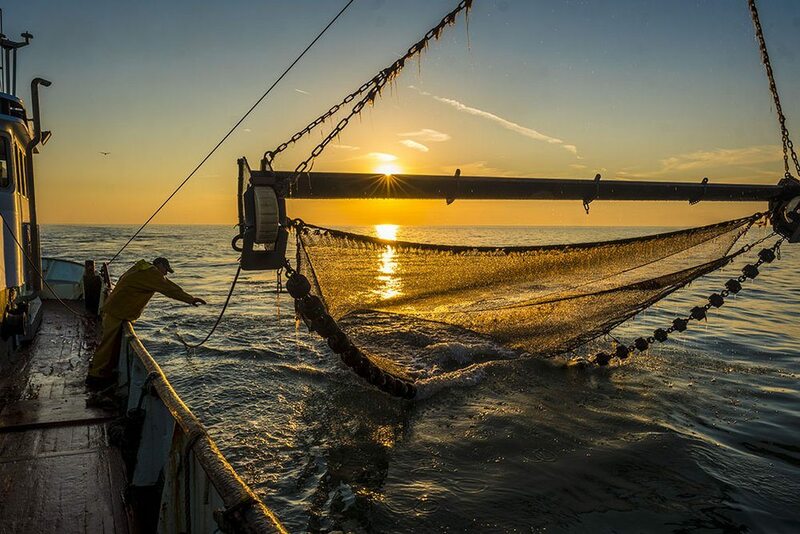 Join us for a night of shrimp fishing off the coast of Ostend and Mariakerke. Exiting the port of Ostend is the first exciting moment of the trip. Because fishing boats are not allowed to take guests without a pile of paperwork, photographer Wouter and I must conceal ourselves on board. The nautical police on the other side of the dock may not notice us. I crawl into the cabin. That same cabin where I will try to sleep in the next night. Although the beds are small but OK, the thought will rage through my body that nothing should go wrong, or the cabin becomes my grave. Suppose the nets catch on the bottom of the North Sea behind a wreck, suppose the captain makes a steering error ... and the ship tilts? Then I am in the deadliest space of the ship. Escaping from that hardly succeeds anyone in a disaster. But so far we are not yet. For the time being, the sea is wonderfully calm. Soft waves slosh against the bow. The sun is shining in the sky. We could not have chosen a nicer evening. Thanks to October for the soft weather in Ostend. Al 5 minutes after the departure of the port of Ostend, the O.62 Dini has already introduced its two nets of 8 meter width into the water. Fishing begins. We sail to the region where Danny and Christian caught a lot of shrimps yesterday, 2 to 3 km for the beaches of Oostende and Mariakerke. We will sail over and over again with a view The apartment en The Loft that Anke and I rent out on the Zeedijk in Ostend. "Fishing is always trying", say the seasoned fishermen. "If we knew where the fish was, we would catch everything." 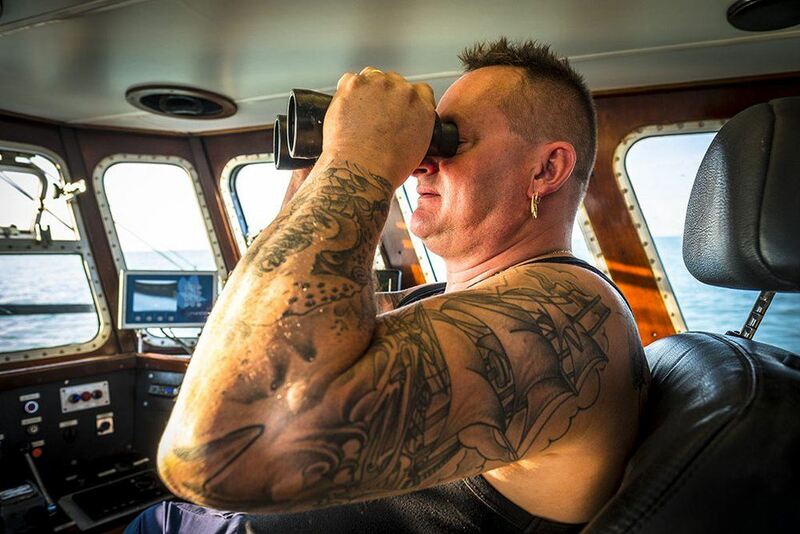 During the night, Captain Danny also keeps an eye on the other fishermen, both on his iPad where ships and sailing routes can be found, as well as binoculars. "If you do not catch anything and another ship stays in the same region for a long time, you know that there is more to catch," he says. "Even though Danny does his utmost," says sailor Christian. "He does not look at the others. Take the place he wants. " Tonight we will be the ones that lure the other ships. At the busiest moment I see the lights of 5 fishing boats around us. Everyone comes to catch a shrimp. Certainly at sea, the fishermen are not friends of each other. I do not really know if that is on shore. "We know each other", it sounds. The wheels at the bottom of the towing nets roll over the bottom for a good hour. Everything that swims or jumps up is caught. Sustainable fishing is called this. The soil is no longer scraped by a heavy beam. No, the wheels roll over without destroying them. This is also apparent when the nets are picked up mechanically. When the trap is shaken at the back above a large container in the middle of the ship, only fish falls out of the net. No other soil material. Not even a lost pair of boots or fishing wire. Occasionally a piece of plastic. Would the North Sea be as clean as a shrimp and fish habitat? Two minutes later, the nets dragged over the bottom again. Except for the time that a sharp object has cut too large a hole in the net. Christian pulled up his thread and spiked needle, to close the hole in the net as quickly as possible. Shrimp, whiting, flounder, dabbard, plaice, sole and a single sand-shark, brill and maid flounder that night in the big tank in the middle of the deck. Looking for water and space. Gills and mouths open far. It is a slow death battle. Not pleasant to see, especially when larger fish are also picked up. A nice brill, for example. Or a sand shark more than a meter long. Both are too tasty to let go. "I stab them with my knife so they bleed empty," Christian explains. What can happen to him without emotion, I feel some stitches (then and now when writing). Such beautiful animals. They hunted shrimps themselves and ended up in the nets of our shrimp fishermen. The sand shark seems to have already settled on its fate. He waits for the deck so calmly and unmoved. Both before and after the stitch. Tough creature. He will be skinned two hours after the stitch. "I think it's best to live it", says Christian, while cutting his knife over the entire length of the fish. Afterwards he sticks through his eyes so as to strip the entire skin. "But I think I waited too long. Oh, no, not. He was still alive. " Only the girl can live out of the big fish again into the sea. When Danny checks whether the shrimp catch is good, Christian measures and selects. He throws the largest fish by species in baskets 5 meters away. Pisces that are just not big enough according to the official yardstick, he throws back into the sea again. The shrimps and smaller fish and crabs pass through the selection drum. The seawater flows with hundreds of liters across the deck. "Put on your boots," I received as advice. "You are getting soaking wet." And indeed. All machines work with sea water, the deck is continuously flushed. And then, during this windless night, waves do not even spill over the deck. Two rotating cylinders separate the shrimps from other fish. Only the shrimps fall through the holes and flush to the stove. There they spin 2,5 minutes in boiling, extra salted seawater. If they were still gray, 7-centimeter long animals, they would wash out of the stove like nice, curled gray shrimps as we know them, although they are bright pink and lukewarm on board. Skipper and driver Danny jumps on his sailor. Just after cooking and washing, he removes the last small crabs. And he tastes. "You do not find them fresher," he laughs. In turbid water and during the night, the catch increases. Then the shrimps come out of their hiding place to find food. They feel safer in the dark. That night the nets are thrown out 9 times and caught up. The fishermen barely get half an hour of rest between each fish. Time for a cigarette, a short nap, a bite of their stuutje (like a sandwich is called in the Oostend). Sea fisherman is a heavy profession. I realize that during the one night at sea. It may be beautiful under thousands of stars, far away from exhaust fumes and with a soft sea breeze around the ears, the duo that takes us away works 6 days on the 7 from 16u to 9u. They go up the sea with two, even when the south wind rushes to 8 Beaufort and the waves gush over the deck. Danny shows me a movie. The ship strikes in all directions. The entire front deck disappears under the waves ... Even then there must be caught, selected, cooked and packaged. Some ships leave the sea for a whole week. Their family life only exists a little on Sunday. 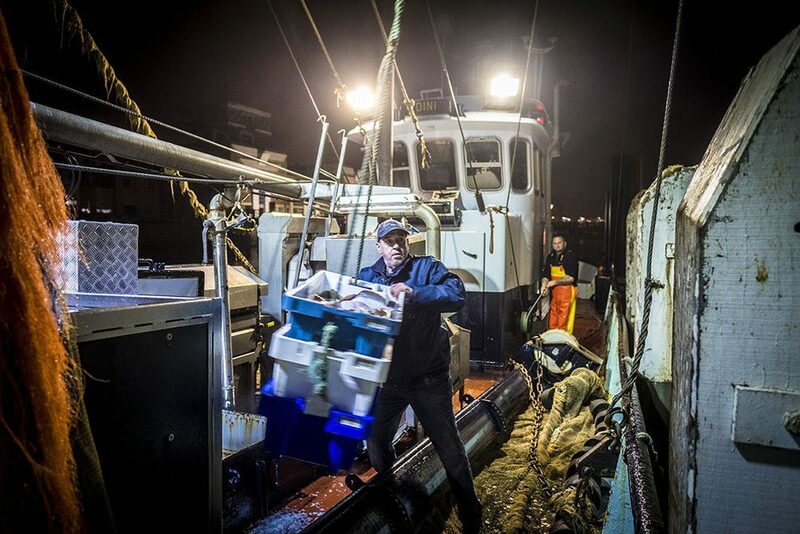 It does not surprise me that there are only 400 fishermen remaining on the entire Belgian coast. Currently only 65 vessels are still sailing. Six fishing boats in Ostend, one of them Oostende.62 Dini is. The ship from 1963 measures 25 on 5 meters and has a lot of renovation work behind it. Once the ship was even cut in two to add a piece of 4 meter in the middle. The welds on the hull are the silent witnesses of this. Not only the fishermen and I are active. 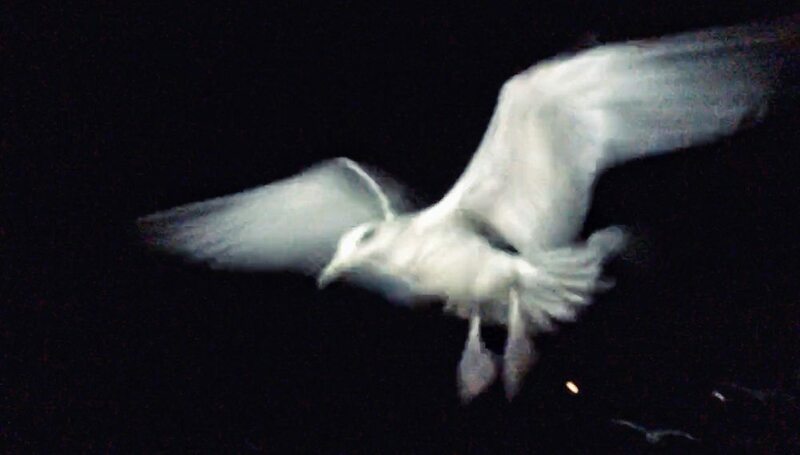 The whole night we are chased by hundreds of seagulls. They do chores, fight and swallow. They feed on the collateral damage of shrimp fishing. 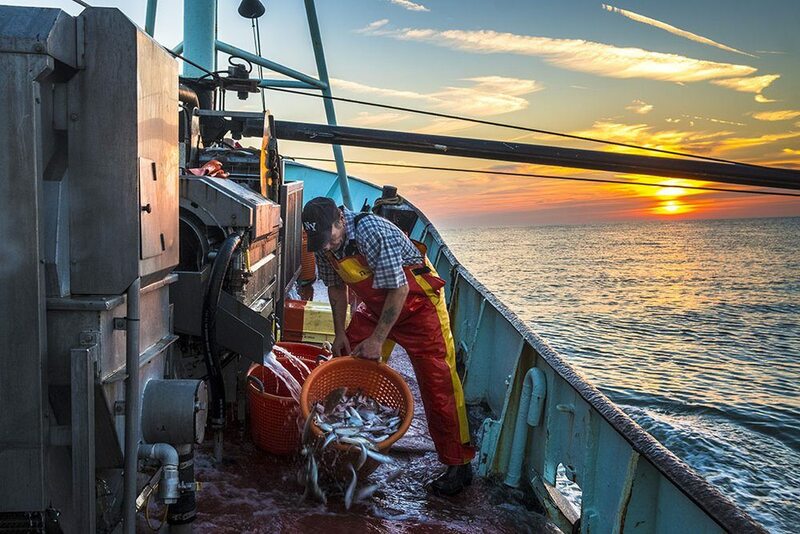 They process a small portion of the thousands of fish and crabs that I basket after basket overboard. It is the best job I can take on board. I do not know anything about fish, do not get in the way of the experienced fishermen and save hundreds or even thousands of fish. Because most flatfish such as plaice, dab, tongue and bone survive their adventure in the nets and machines on the ship. If they are not then swallowed by a greedy seagull, they swim again later on the bottom of the sea. Just like us ... in search of shrimps. When I reach out my hand between the hatching out of the baskets, I touch the wings of such a powerful flying rat. The gulls follow us so closely. Some sail a bit along the edge of the ship, on a rope, on the mast. But they stay away from the ship itself. No massive attack on our catch. They do not have collective hunting. And thank goodness. Also no gull succeeds in catching the fish that I am throwing. No, they are not circus animals. They often pick up next to the fish that I tip overboard. If they have a price, they will fight for the same whiting or laboriously bothering too much bone. While nature goes its hurried pace next to the ship, the cooked shrimps slide to the next stage: the fridge in the hold of the ship. The 0 ° C ambient temperature is far too cold to stay long ... unless you have to work like Christian. He cuts every 15 to 16 kg of shrimp in one bag. He throws these bags into a bowl of ice to cut a firm layer of ice on top of it. The homemade ice cream and cooled room cools the shrimp quickly. Making ice cream is the only thing on board that happens with fresh water. Or no, we also use filter coffee with Oostend's city water ... happy. Christian, Danny and I fill 73 bags during our night. After a night under an open starry sky we sail with more than half a million shrimps, or 1,1 tons again towards Vistrap. After we sailed for almost 14 hours at sea, we sailed back into the harbor. Straight to the Fish ladder. Owner of the O.62 Dini Luc Bogaert is waiting for us. Whether he is satisfied with the catch? "Oh, it can always be more!" But he does not have much time for an interview. The cooled fresh fish and shrimps are landed on land and the well-known fish market is shifted. Straight to the stall of his daughter Dini. At high speed, father and daughter fill white plastic bags with hands full of shrimps. Five minutes later, the first restaurant owners and individuals will pick up their order. They can start peeling shrimps. This is easier when the critter is fresh. 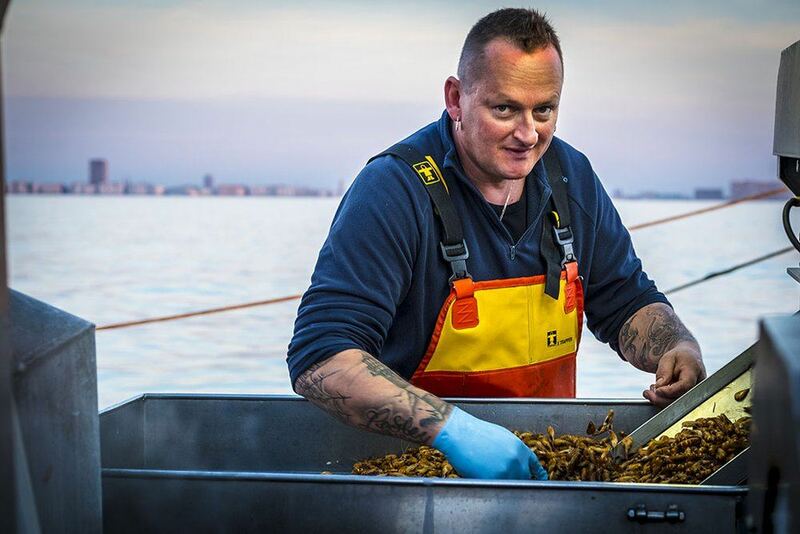 "Are you telling everyone that you will not find any fresher shrimps than at the Vistrap in Ostend? ", Laughs Dini. "Because what we do not sell today, we are going to the auction. This will auction it tomorrow. And only then does it come to the shops as supposedly fresh fish. Yes, not so fresh anymore. " I usually take care of such commercial messages. Is it true what sellers claim? But this time I feel no hesitation in tapping this. The shrimps that I personally caught a few hours before, selected, cooked and packaged, now lie in the Vistrap and on our breakfast table in De Loft. Mmmmmm, can you think of a nicer and fresher breakfast? 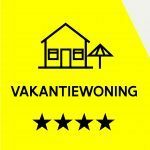 © This is an article written by Hans Hermans for magazine Trends (publication 25 October 2018) and holiday rental in Ostend apartment-with-seaview.be. Thanks to Luc, Danny, Christian and Dini ... and photographer Wouter for the exciting night and photos. 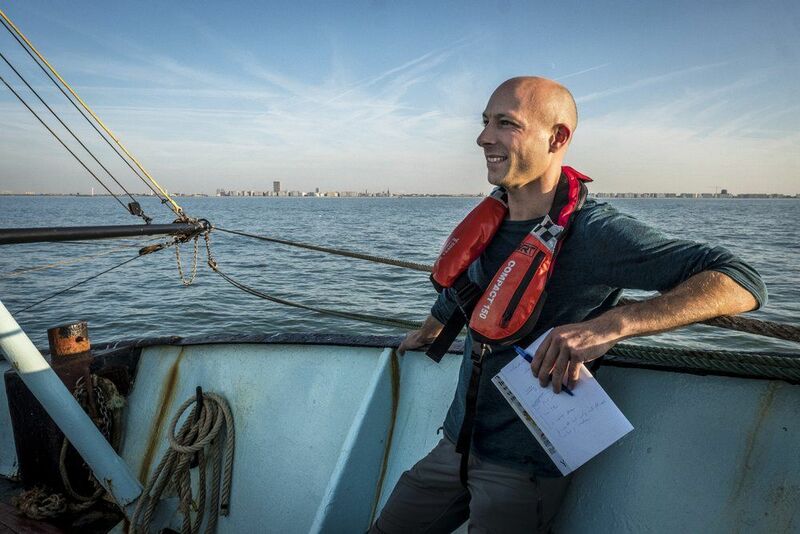 Contact freelance journalist Hans Hermans for your own unique and strong business content. Maybe also an article that interests you? Where can you find the most famous cocktail bar on the Belgian coast?